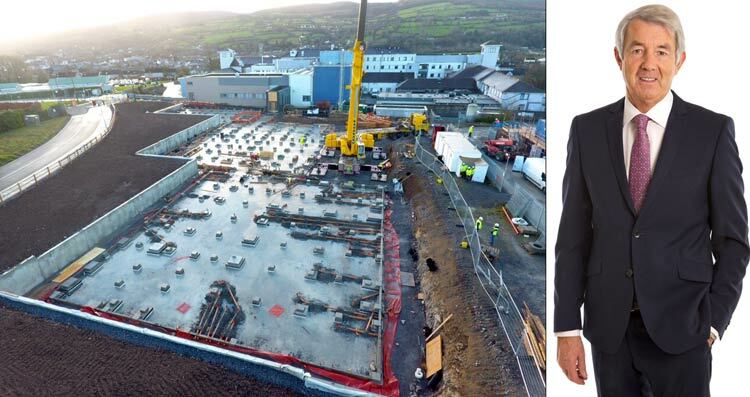 Independent Deputy Mr Michael Lowry has stated that today is yet another significant day in the progression of the new 40 Bed Modular Unit under construction at Clonmel General Hospital. The Preliminary and enabling site works are complete. This week the foundations and base have been completed. Today the crane and lifting gear have arrived and are in position. Today the steel modular frames are expected to arrive on site. Work now set to commence immediately on the erection of the framework. Note: There are 3 Blocks of Framework, A, B and C to erect. “Block A will take an estimated one week to erect. Block B and C will then be erected, within the following three weeks approximately, with Cladding of the complete structure then set to commence. The work of erecting and cladding, fully, this modular framework is expected to be completed fully by July of this year”, Deputy Lowry concluded .